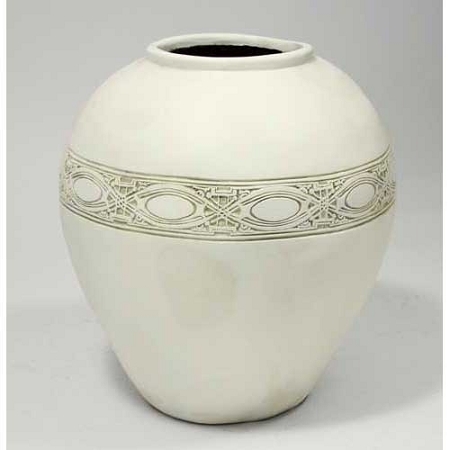 Home > Vases Indoor > Vases 12" - 36"
Large fat vase with beautiful decorative molding on the outside. This design work is by Louis Henri Sullivan, the famous architect. A nice size planter for larger plants. It is made from durable fiberglass and will withstand the outdoor weather year round. Shown here in an antique stone finish but other finishes are also available for this lovely vase.